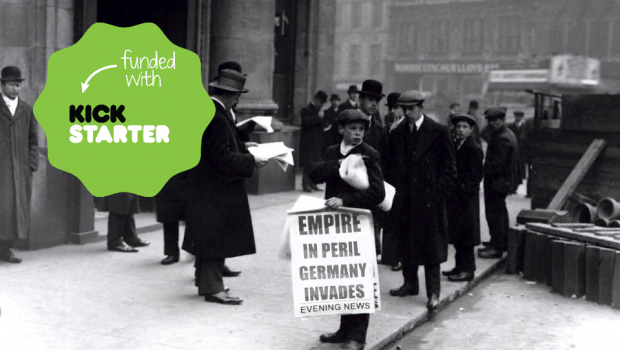 The initial Kickstarter campaign for Empire In Peril has been a great success, I am truly delighted. When I decided to go down this route to launch the range, I thought I might raise £1,500, however we smashed that, the final total being £2,304. Initially I had planned to release the Empire in Peril range with just 7 packs, 4 German and 3 British packs , however the additional funds allowed me to increase that to 13 packs, almost double and provides a solid base for future releases. BA01: Line Infantry, with field kit (I). 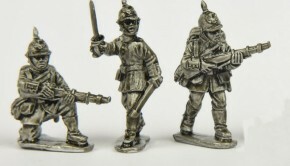 BA02: Line Infantry, with field kit (II). 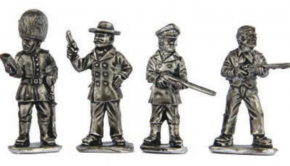 BA03: Infantry Command, (two officers & a Sergeant). BA04: Grenadier Guard, Marching order with Bearskin cap. CS01: Captain of the Guards & his batman. CS02: A Gentleman rogue & his chauffeur. I’ll post an update weekly, on a Thursday, with progress. The first task will be to get the dollies made for the mounted figures and the new heads for the Guard figures, the horses are already finished. My primary focus over the next few weeks is to ensure, that the new figures are in-flight so I can meet the May-June 2016 target.